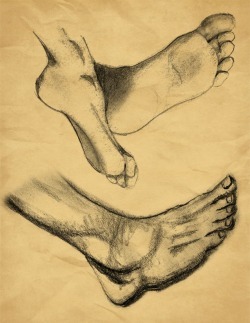 One important beauty tip for essential beauty is to know that it is important to care for our hands and feet. The same basic beauty regimen for the face is needed to care for the hands which includes cleansing, moisturizing, using sunscreen and protecting the hands. Sun exposure ages the skin on the face as well as the hands so a good SPF of at least 15 will help slow down the aging process. This is one of the important natural beauty tips for the hands and feet. Another one of the homemade beauty tips is to wear rubber gloves when washing dishes or other household chores. Apply a think layer of moisturizer before putting on gloves because rubber makes you sweat which makes the skin dry. Or you may wear latex gloves. Feet put up with so much abuse and it is important to take good care of them. 2. File and shape the nails in one direction only. Do not curve into the corner of the nail. 3. Massage a light cuticle oil or moisturizer into the nail and cuticles for a minute or two. Soak the fingers in ware, soapy water for about five minutes to soften the cuticles. 4. Gently push the cuticles back with the tip of an orangewood stick. 5. Rub the hands with a good moisturizer and wipe the nails with a clean cloth to get rid of the remaining oils on the nail to prep them for nail polish. 6. Apply a base coat. Follow with your favorite nail polish and let dry. You may apply a fast drying top coat. Combine the above ingredients in an ovenproof glass container and heat gently in a microwave. Once melted, pour the mixture into a clean container and cool completely. Massage the cream daily into the cuticles to keep them soft and help promote healthy nail growth. 2. Fill a large bowl with warm water and throw in a scoop of bath salts, kosher salt or Epsom salts. Soak for up to ten minutes. 3. Apply a foot sloughing cream to a loofah or use a pumice stone to scrub rough patches. 4. Use a nail brush to scrub under and around the toenails and rinse the feet. 5. Massage the feet with moisturizer or cuticle oil and use an orangewood stick to push back the cuticles. Trim any hangnails with a clipper. 6. Wash the feet with soap and water. Use a foam separator to separate the toes. Apply the base coat, then the polish and let dry. Mix the ingredients together and pour into a clean container. Massage a small amount onto tired feet and legs. Clove oil is available in most pharmacies or you can make your own by soaking a few cloves in a tablespoon of oil overnight.